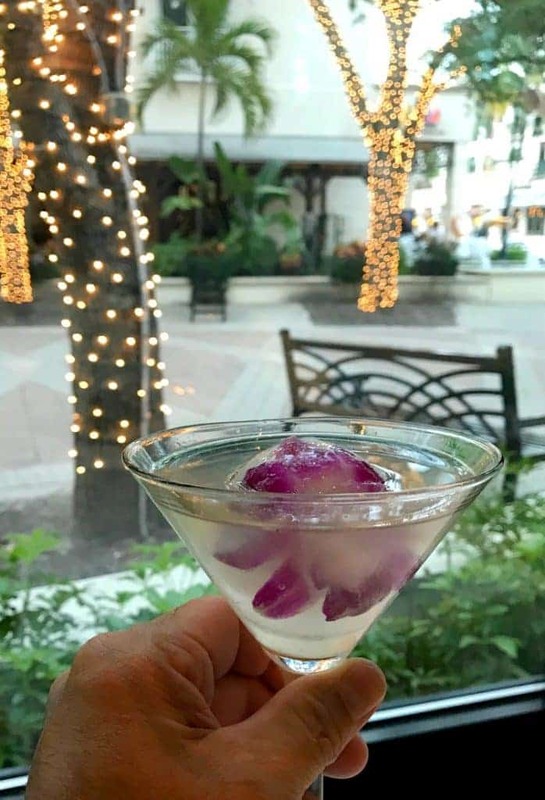 Follow along on my weekend MANcation in Naples, Florida where my buddies and I hit the best places to eat, drink and have fun! 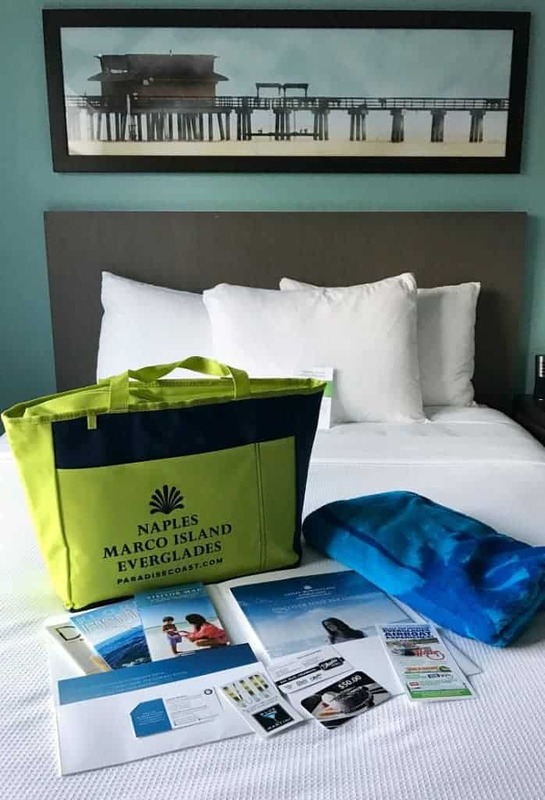 When I was given the opportunity to visit Naples with some friends of mine by Florida’s Paradise Coast, I knew it was an opportunity that I couldn’t pass up. I’ve been to Naples before – but a long time ago. 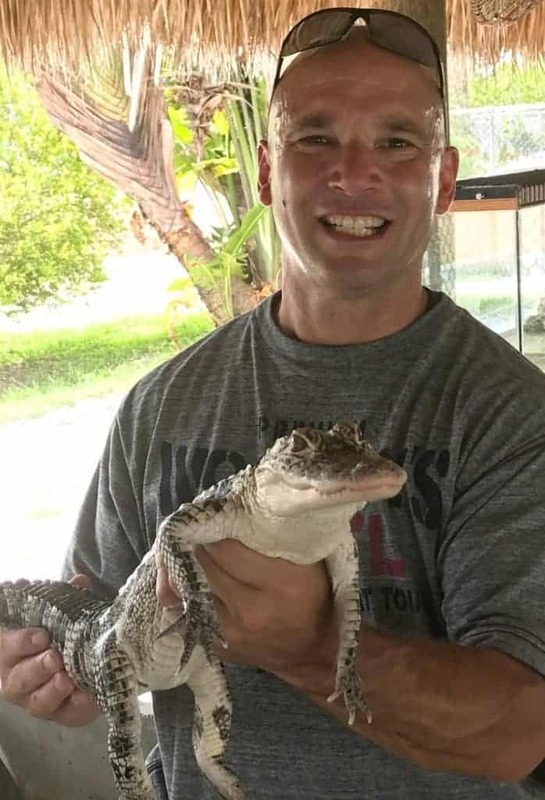 Christie’s family used to go to Marco Island every year which is just a short drive from Naples so we’d go into Naples for dinner or for the shopping…but that’s really all I knew about it. So a MANcation in Naples, Florida with a couple of my friends? I was all in for that trip. We got there early on a Friday afternoon, grabbed a rental car and headed to the hotel. On the way we had to make a couple of pit stops, of course. One to grab some food and drinks for the hotel room and the second stop was at Burn by Rocky Patel. 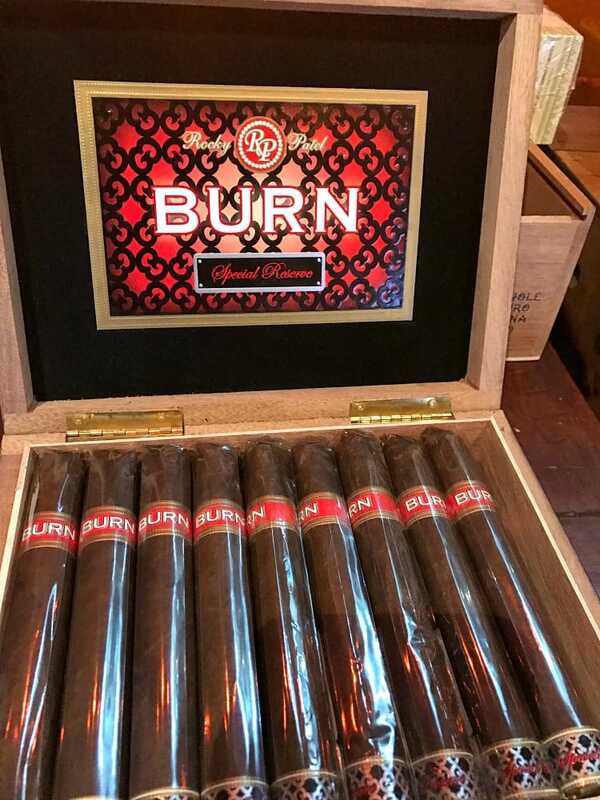 Burn is a fine cigar bar that offers drinks as well and a killer atmosphere. It’s like the coolest lounge you’ve ever walked into and this place was screaming MANcation to me. My new friend John got us hooked up in the VIP area when we arrived, this place was so cool. There’s a walk in humidor with over 150 hand rolled cigars from some of the top cigar names in the business. We did enjoy a few cigars…and a few drinks…it was the perfect place to start off the weekend. The hotel we stayed at was the Hyatt House Naples 5th Ave. The Hyatt House was a great place to stay, I would absolutely go back there. Very affordable without skimping on anything. Close to shopping and restaurants and right across the street from Tin City which has restaurants, more shopping and boat docks, where we were going to leave from to go fishing in the morning so it was really easy to get to. Dinner was at restaurant called 7th Avenue Social, which turned out to be one of my favorite meals of the whole trip.The staff was very friendly, food was unbelievable, and the service was spot on. Pretty much everything you look for when you go out to eat. 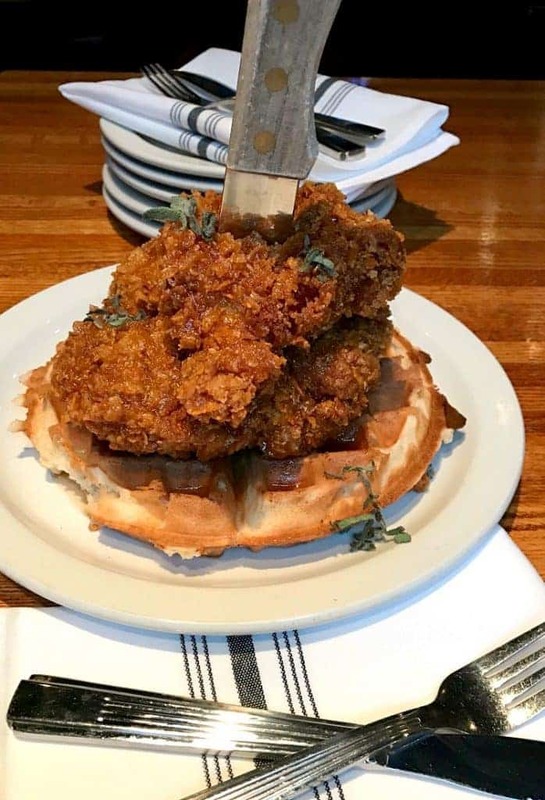 My first chicken and waffles, ever. It won’t be my last either. After dinner we went back to the hotel to hang out by the fire pit and have a (few) nightcaps. Zacapa XO was our drink of choice that night – it was a great way to end up the first day. We did need to get to sleep at some point though since we had an early morning of fishing planned for us. 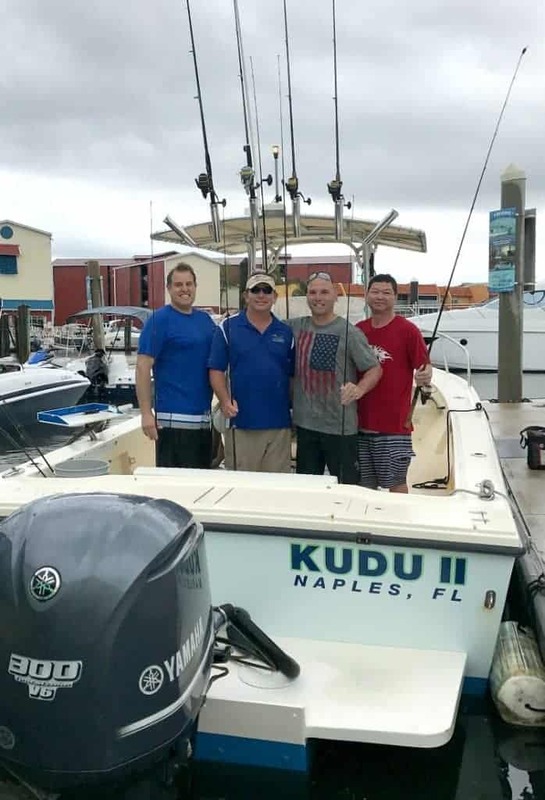 Our fishing trip was with Pure Florida – Naples literally right across the street from the hotel. Good thing since we were dragging a little from the night before. But we made it and I’m sure glad we did. The weather didn’t cooperate with us that morning – it was raining pretty good. But we were fishing so a little rain wasn’t going to get in our way at all. 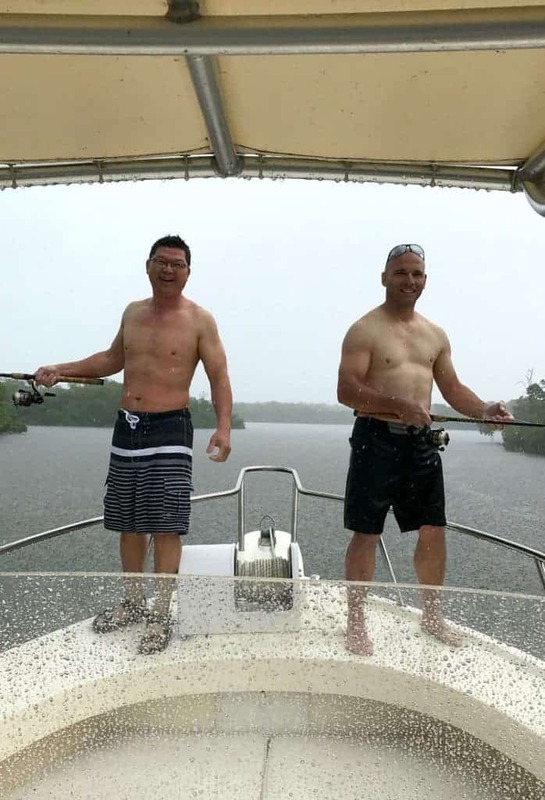 We chose to go on their “Back Country” fishing excursion where you stay closer to land and fish in the mangroves instead of going out deep sea fishing. I thought that it felt like a more “Florida” experience since I live in New Jersey and I can go deep sea fishing whenever back in Jersey. We caught some fish, had a few beers and made some new friends. It was a successful fishing day to say the least! I’d definitely recommend Pure Naples Florida to anyone who is looking for a fishing trip in the Paradise Coast area. After fishing we walked over to Pinchers for lunch. 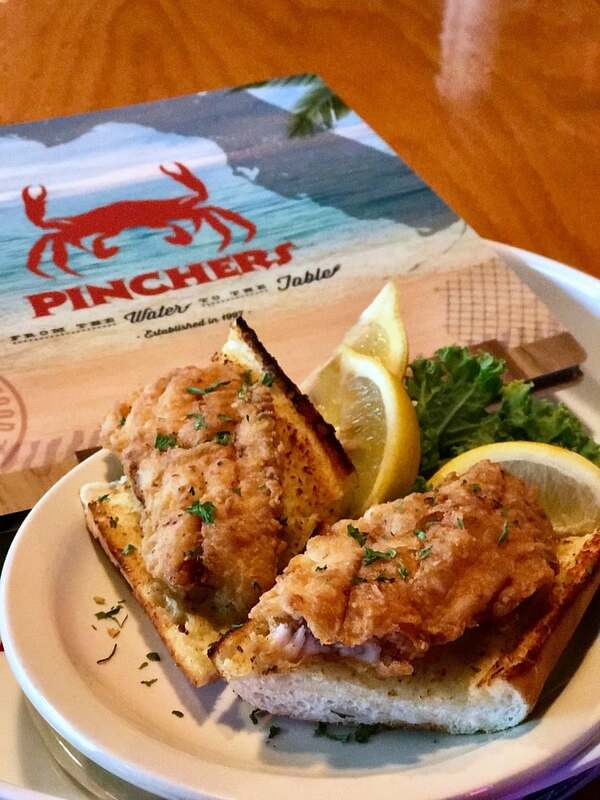 At Pinchers you can “cook your catch” right when you get off your fishing boat. 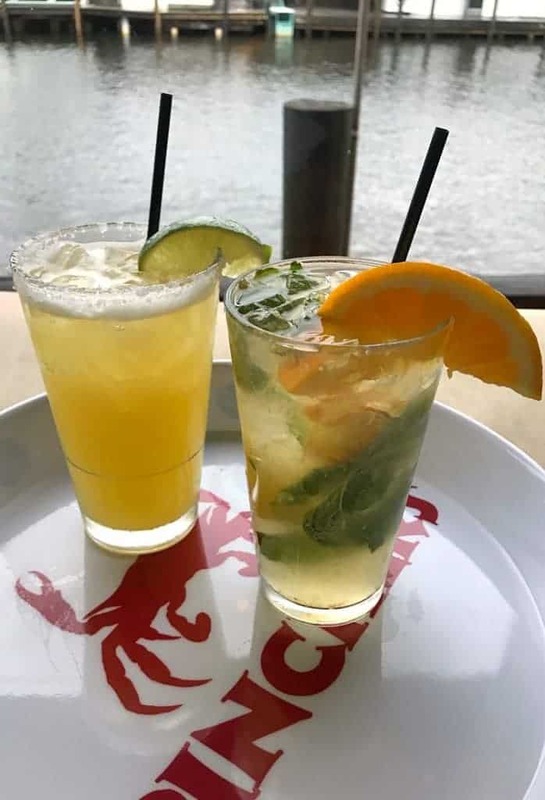 It’s a fun, casual outdoor restaurant with a great Florida feel. 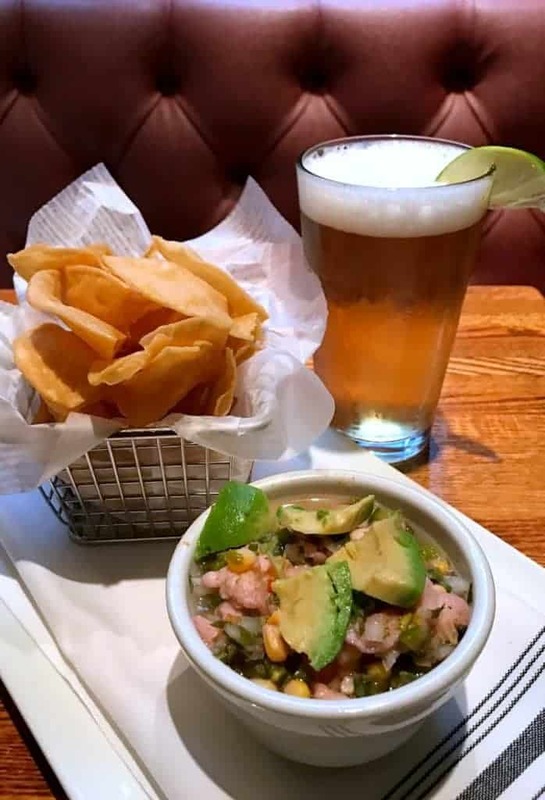 You can get favorites like grouper sandwiches or coconut shrimp or you can try some of their fish tacos or a huge crab pot. 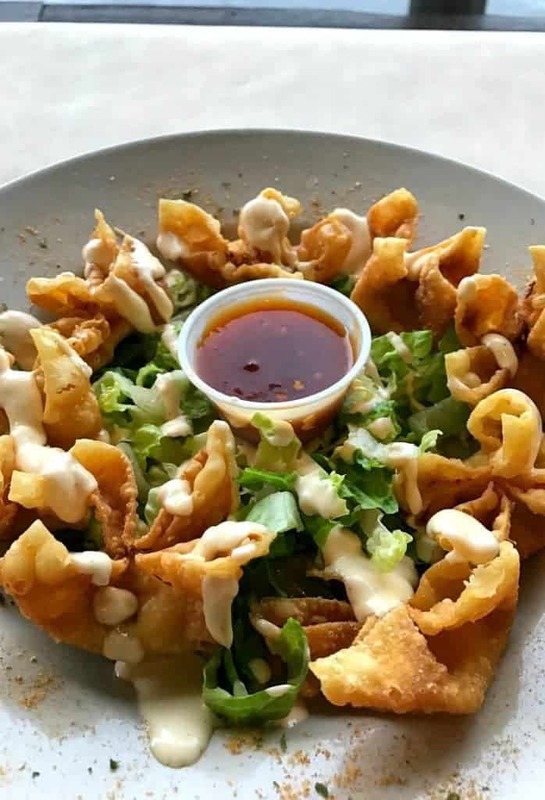 We started lunch off with this Crab Rangoon appetizer. OUT of this world good. Then it was on to the crabs. 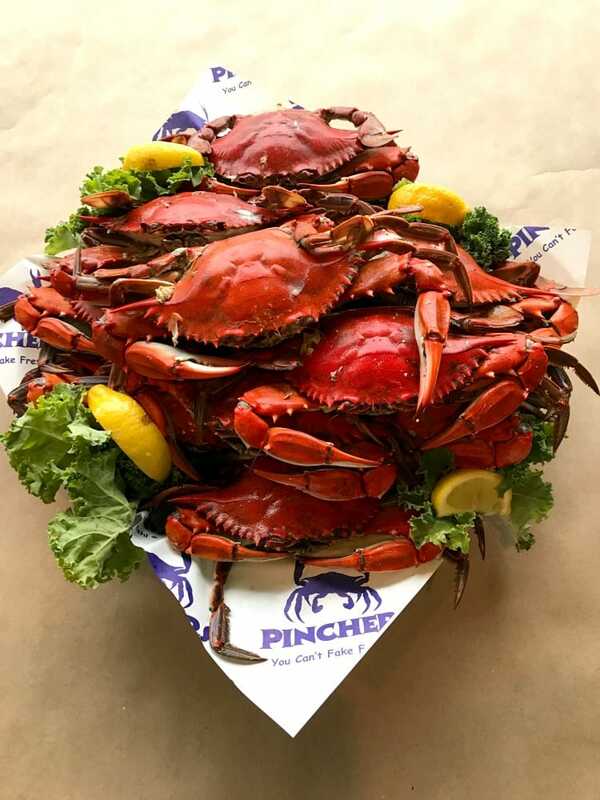 There were so many crabs to an order, we just kept eating them and eating them. 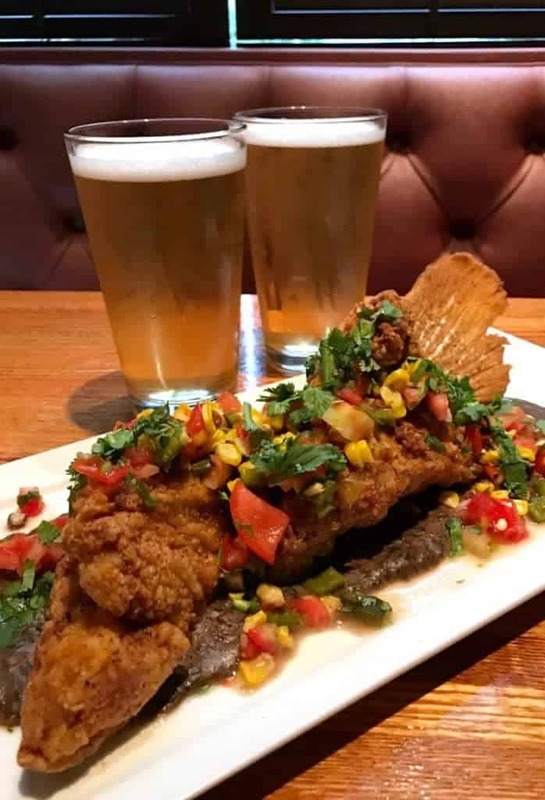 Just add beer and a few cocktails and lunch is served. One of my favorite things that we had though were these fried Mangrove Snapper sandwiches, the fish that we caught that morning on the boat. Can’t get more fresh than that! 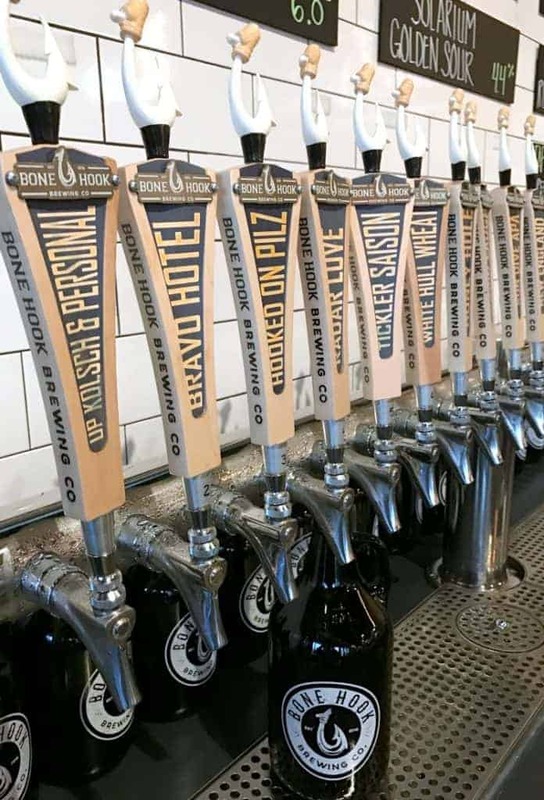 After our crazy huge lunch, it was off to Bone Hook Brewery. Yep, we were still up for a few more beers. Especially when it’s at a place like this. 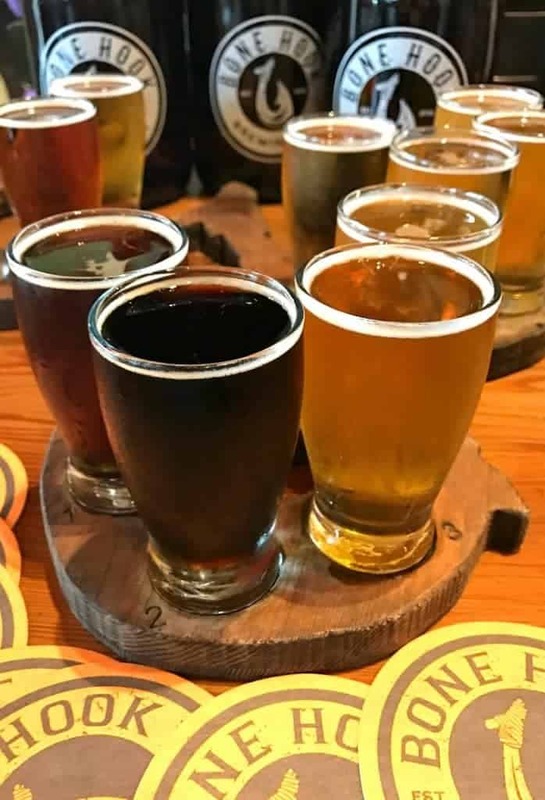 My job here was to try and taste them all…I failed. But I did get in a few. 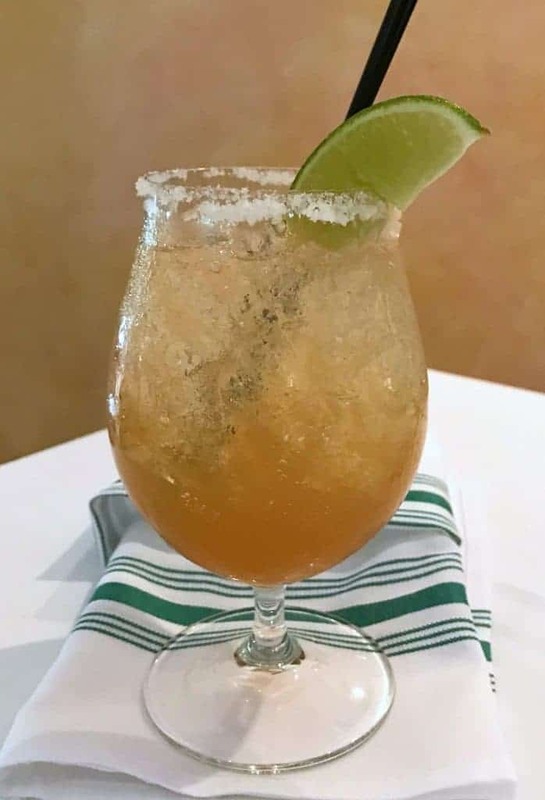 We tried the “Isle Be Back”, the “Liquid Laugh”, the “Round and Brown” and “Solarium”. 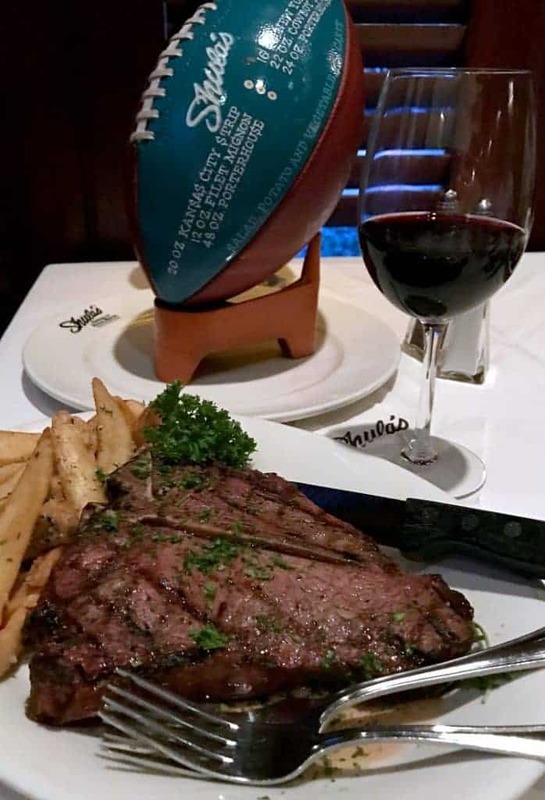 Dinner that night was at Shula’s Steak House. I’ve actually been to this restaurant many years back with Christie and her family but I was looking forward to visiting it again. 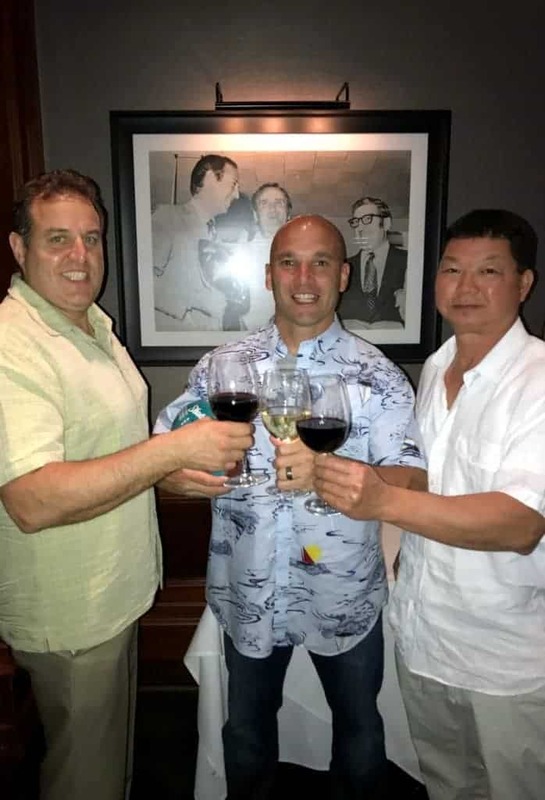 Shula’s wasn’t my favorite meal on our MANcation…it was still good, but I think I liked the more local flavors of Naples. But a steak night with the boys is always going to be a fun night! Steaks were good as I expected…I don’t know, I just felt like having more fish I guess since we were in Florida. I actually can’t believe I’m saying that, if this was a few years ago those words would never come out of my mouth. 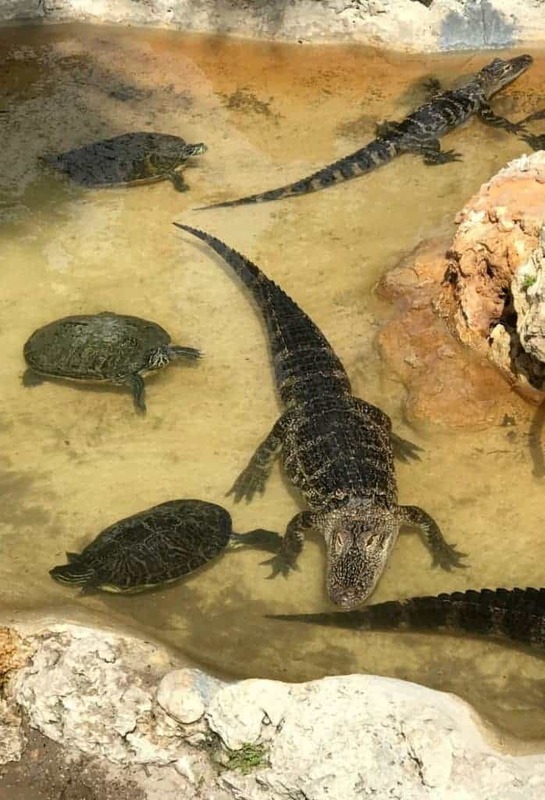 The next morning we took a 45 minute drive to Wooten’s Everglades Tours. I was on the fence about this one…it was hot. And it was raining a lot so it was really muggy…but it was on the schedule so off we went. Man was I wrong about this one. 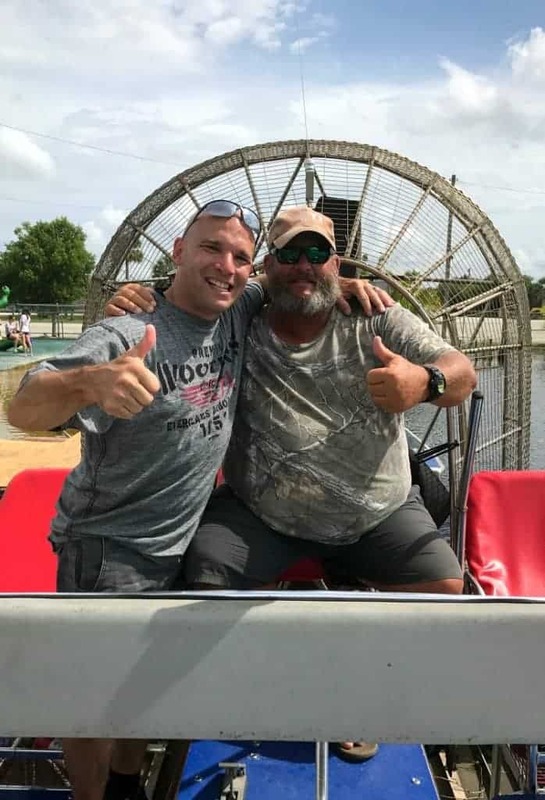 We had so much fun taking an airboat ride through the Everglades I’d even say that I’d do it again. I can tell you that one of the best parts was our tour guide Captain Robbie – what a character this guy was. He made the whole trip so much more fun than it already was. I can’t wait to get back and visit him again! You definitely have to put this on the list of things to do! How do I look here…like I’m having fun? I was but a little jumpy too. Looking forward to a beer after this. 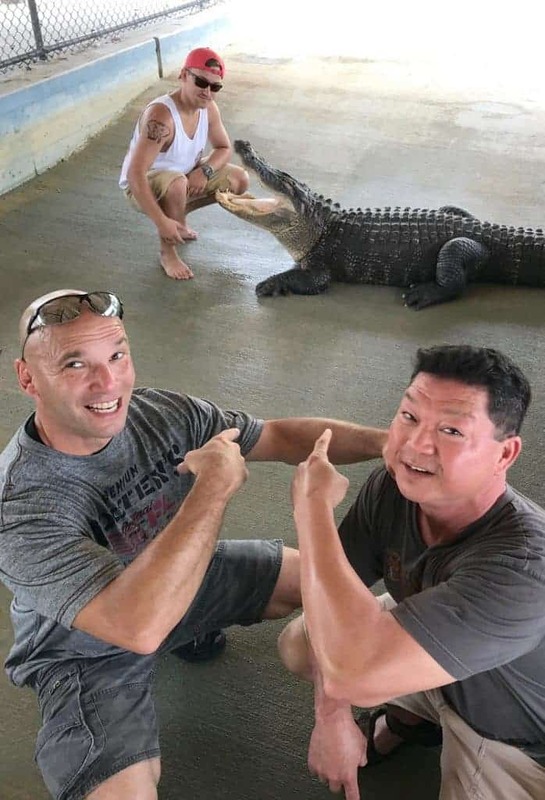 I don’t think I need to get THAT close to a gator, but for this guy it wasn’t a big deal at all. I like to sit back and watch them from a little bit farther away. After our boat ride we had lunch at Ridgeway Bar and Grill. 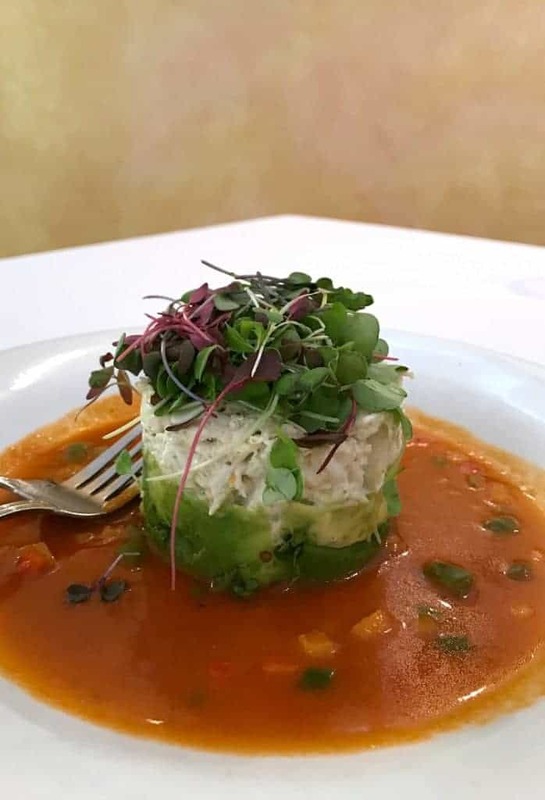 For their brunch menu you can order small plates like we did, starting with the house cured salmon, brioche donuts and this Lump Crab and Avocado appetizer. 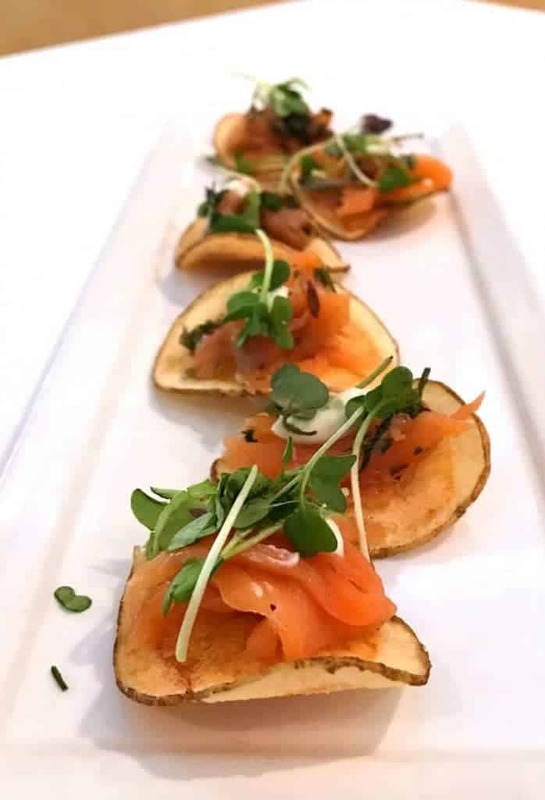 The House Cured Salmon on homemade potato chips was really good, surprisingly to me. 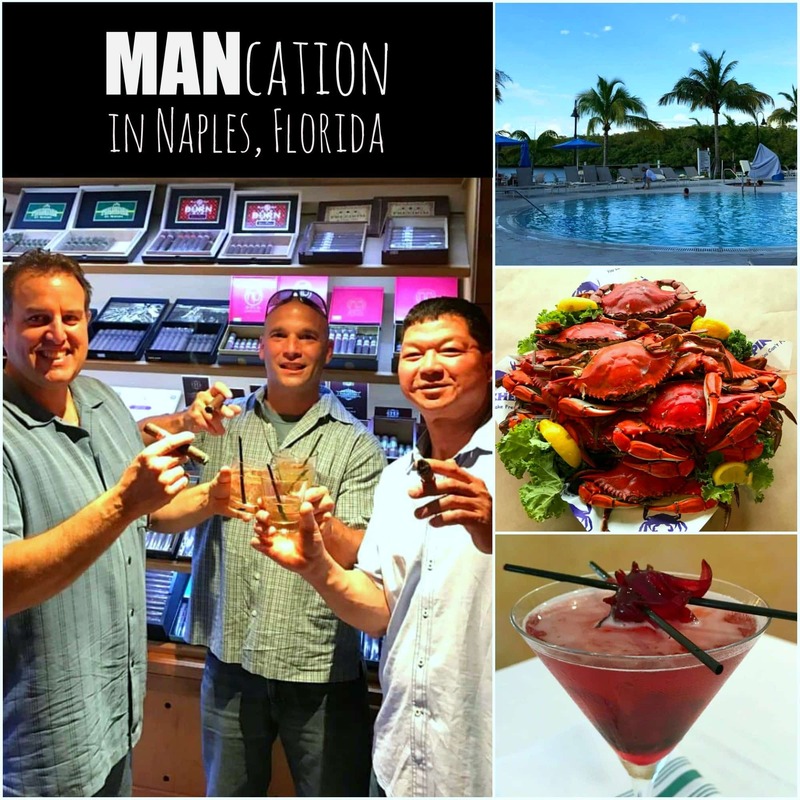 Salmon isn’t one of my go to things to eat, but when your on MANcation in Naples, Florida – you try it all. After that we walked around town a little just to let all that good food and drink settle, then back to the hotel to get ready for our next meal. 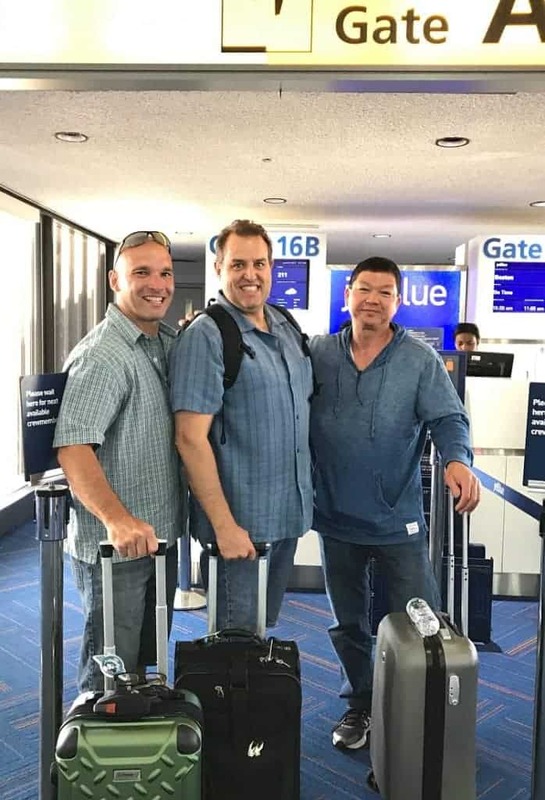 You need to eat and drink like a JOB when you go on trips like this. Dinner that night, our last night, was at a new restaurant called Ocean Prime. Man, was it good. Really nice place, a little more on the pricey side but if you’re looking for a nice dinner with a lot of fish options, this is where you need to go. 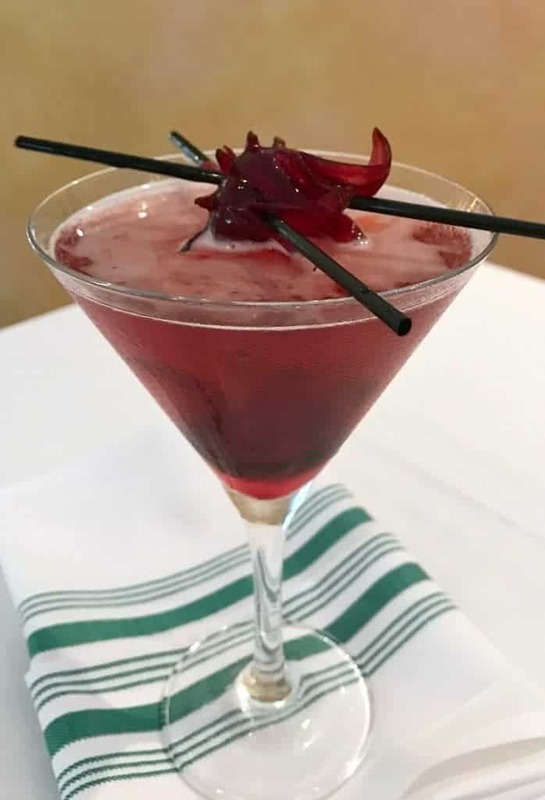 This drink was called a Black Orchid, tasted as good as it looks. 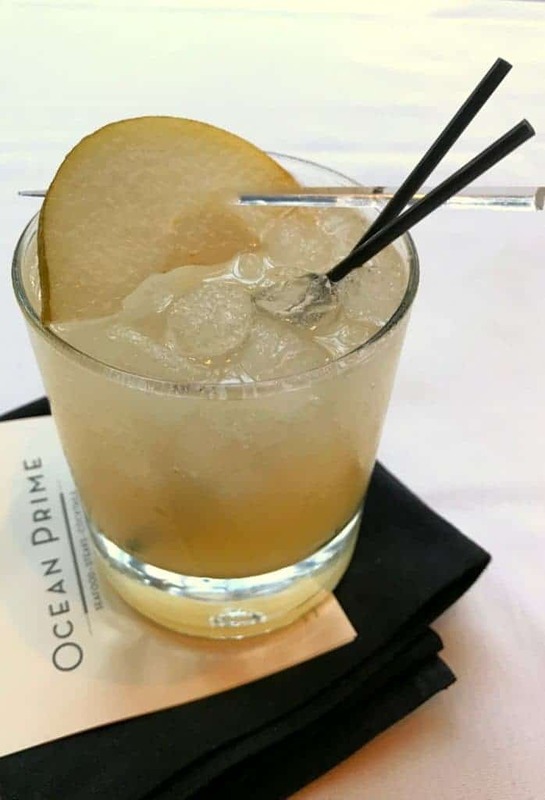 We tried a Pear Grapefruit Fizz – also really tasty. No complaints! 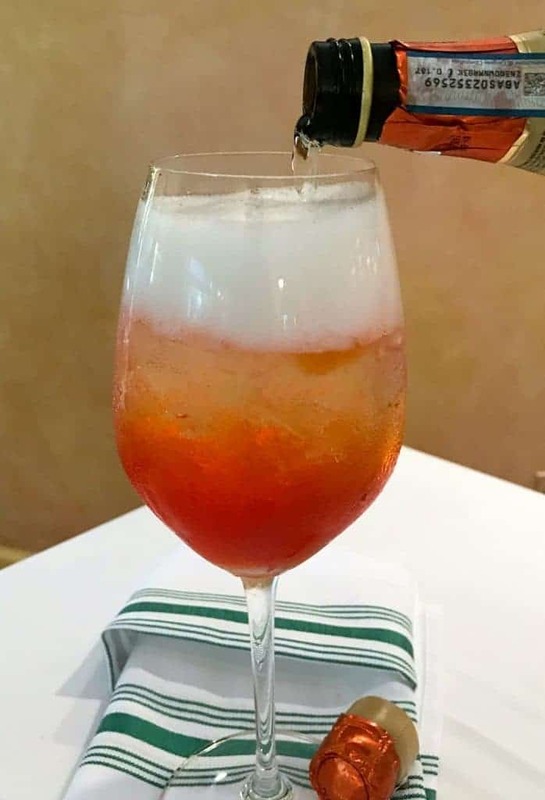 But this cocktail had it’s own special effects. 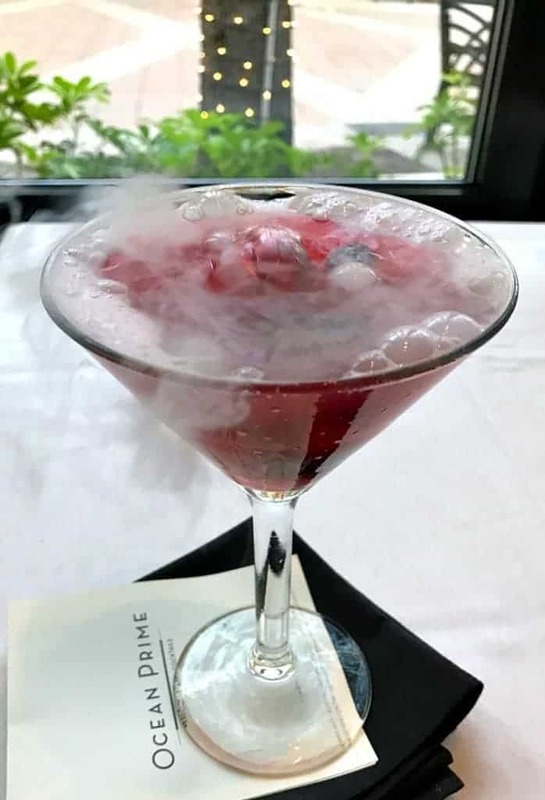 It’s called Berries and Bubbles with citrus vodka, marinated berries, house made sour mix, champagne and dry ice. Fun and tasty. OK so I’m going to say it. We were FULL. I never really thought that could happen to me, or to the guys I was with but I’m telling you. Full. So we decided to just have appetizers that night and keep things light. 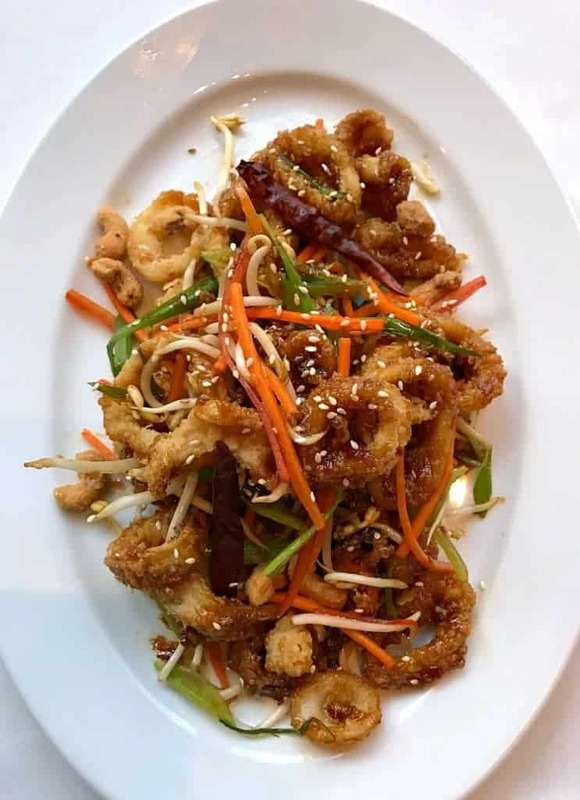 This calamari definitely hit the spot with a sweet chili sauce and candied cashews. 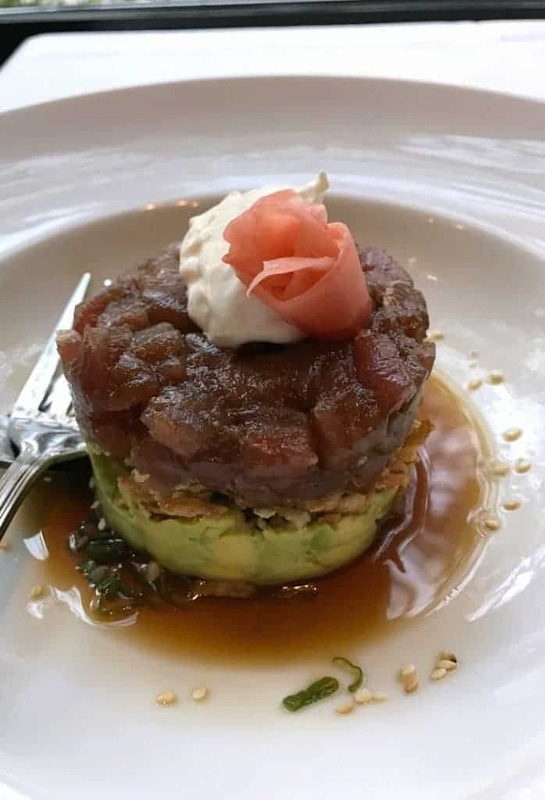 Keeping with the “light” theme we moved on to this Ahi Tuna Tartare with avocado, ginger ponzu and sesame seeds. 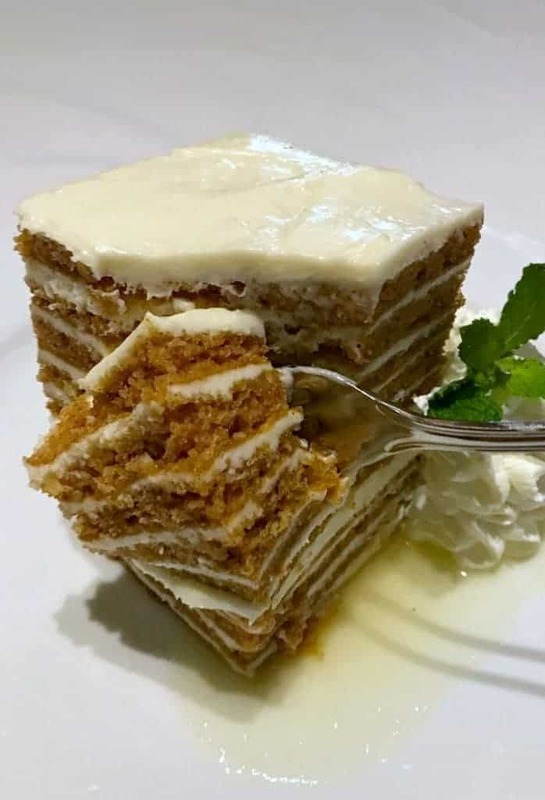 Dessert was this ten layer carrot cake with pineapple icing. Definitely one of the best carrot cakes I’ve ever eaten! And that was it. Our last night on MANcation in Naples, Florida and it was a good one! 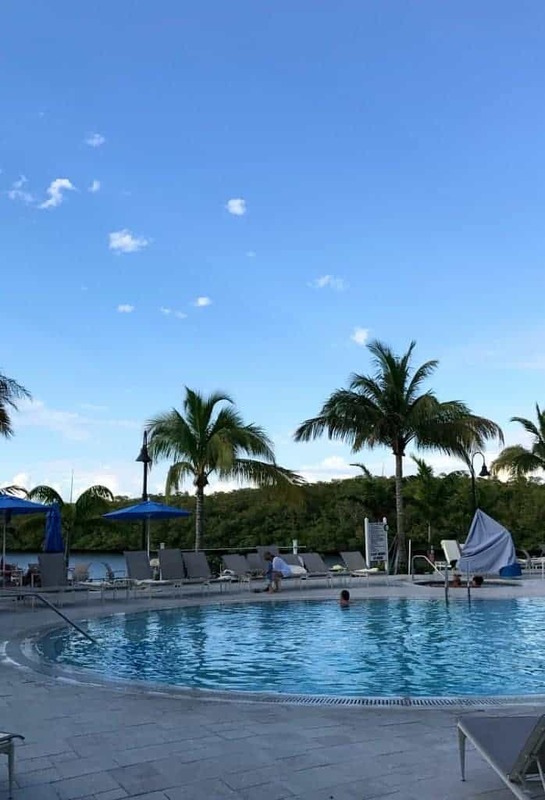 If you’d like to check out some of our other travel posts where we’ve visited Napa, Disney, and our favorite beach getaway – St. John, just click the links!